Liam Deegan is a bartender raised in Providence, living in New Orleans. He is the author behind the saturated musings of PourThought.com, a blog that focuses on beer but with a wider study of booze’s place in the past, present, and future. 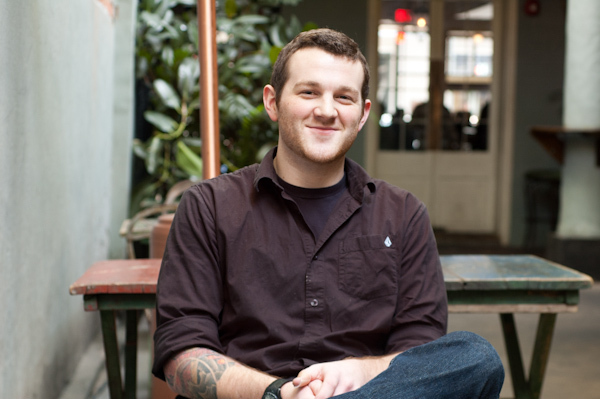 Liam is a Certified Cicerone and works in one of the greatest neighborhoods in the world, the French Quarter. Usually not far from either side of the bar, you can usually find him behind it at Sylvain, mixing cocktails, trying to put an egg white in everything, urging you to have a Tripel Karmeliet with your cheese plate, and occasionally drinking a Schlitz.